Living, learning, and teaching through photography and writing. I spent the weekend at UC Davis exploring the connected learning approach to education with colleagues and friends from the San Diego Area Writing Project and the California Writing Project. Spending time at my alma mater and in my hometown of Sacramento brought back many memories. As we drove through familiar neighborhoods, I thought about family and friends. I reflected on the fun I had as a kid and thought about the struggles I experienced while growing up. I realized that places have power in our lives and can help us understand ourselves better. In his autobiography, Mark Twain describes some of the places that gave his life meaning. Chapter 16 highlights his Uncle John’s farm, and as I read the detailed description, I was reminded of the summer vacations that I spent on my grandpa’s farm in Montana, where I rode horses and played in the garden. I was inspired to use Twain’s writing as a mentor text for writing about these experiences. 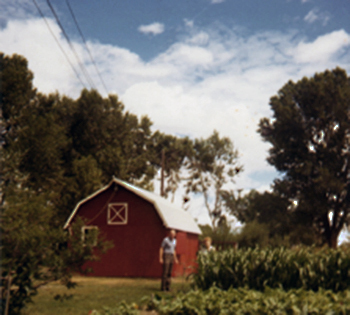 As the memories returned, I was also inspired to find photos of my grandfather and his farm. With my sister’s help, some long-forgotten images were unearthed. I remember those times with more clarity, and I can feel the power of that place, as if I were there right now enjoying myself in the quiet countryside. Fort Shaw, Montana (pop. 53) was an amazing place for a city girl to spend her summer vacations. A mile from the main road and just yards away from the Sun River, Grandpa’s farm was a peaceful haven. A big red barn towered over the garden out front, while the cows and pigs rested in the shade of the barn out back. The main house was a railroad boxcar taken from a decommissioned train, with a rustic screened in porch attached at one end and an antique-filled living room at the other. A wood-burning cast iron cook-stove was at the heart of the narrow knotty pine paneled room. Three times a day, the simple maple table was set for mouthwatering meals: juicy pan-fried steak, crispy roasted duck, broiled pork chops; new potatoes dug earlier that afternoon, corn on the cob fresh from the stalk, snap peas and green beans just picked from the vine; home-baked biscuits slathered in butter from the nearby dairy; rich custard and rhubarb pie hot out of the oven for dessert. Food was grandpa’s poetry. As we ate one meal, he was already imagining the next. While we enjoyed our pancakes and eggs for breakfast, he spoke excitedly about what he would make for lunch. As we devoured our hamburgers for lunch, he elaborated on his ideas for supper, and while we enjoyed our evening meal, grandpa described the delectable late night snack we would share before heading off to bed. 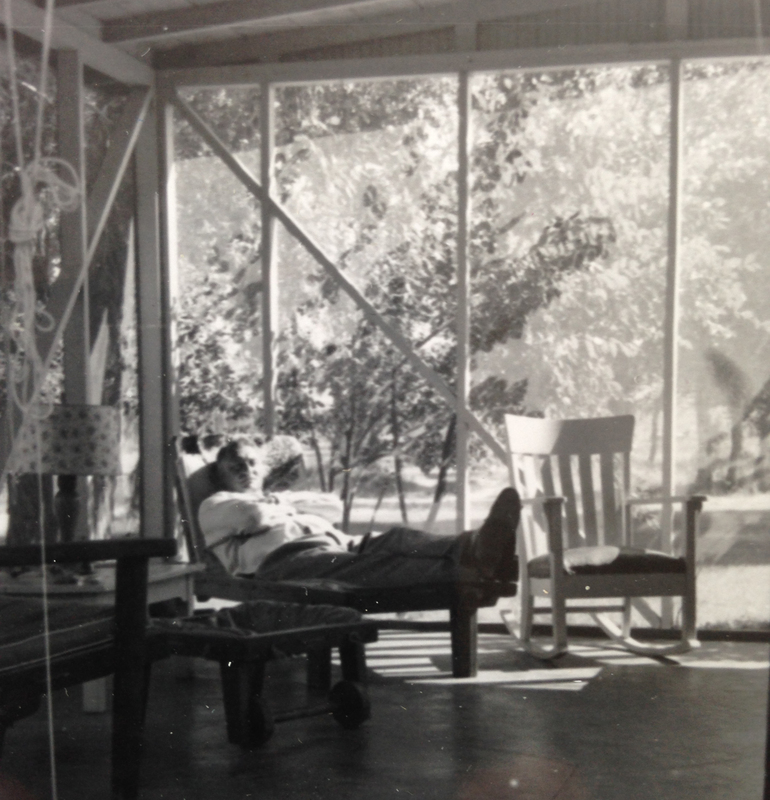 I wouldn’t be surprised if Grandpa dreamt of food as he napped on the wicker chair in the corner of the wide airy porch—and if heaven exists, grandpa is still on the farm, working in the garden and preparing home-cooked meals to share with family and friends who join him in that cozy boxcar kitchen. As the weekend in Sacramento came to a close, I was happy to be heading home to San Diego, but in doing so I was leaving my first home once again. 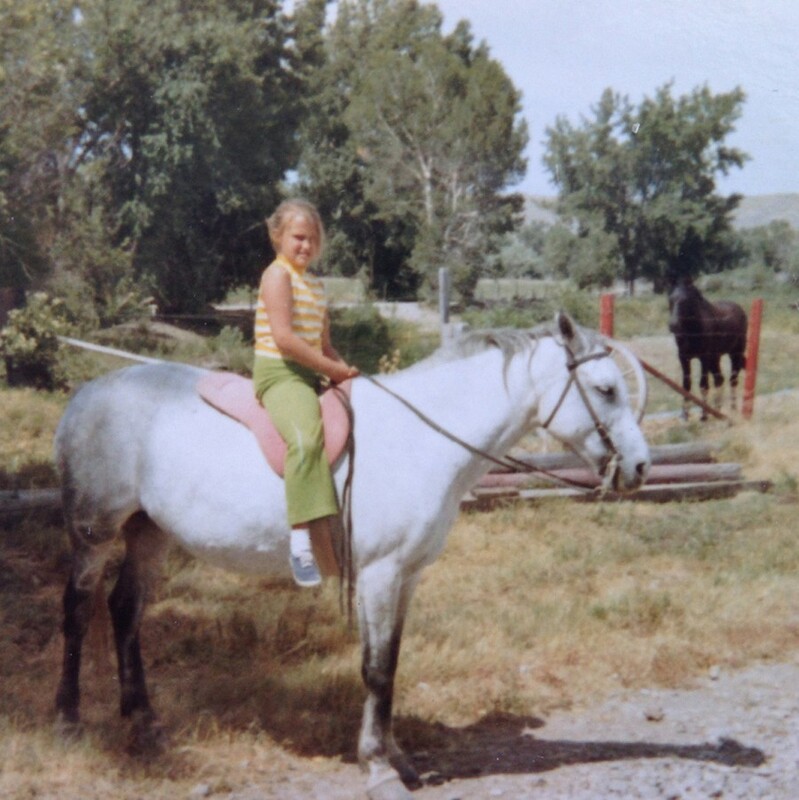 My present self has been shaped by my past experiences in my hometown and while visiting my grandfather on his farm in Montana. What places have shaped your present self? What mentor text could you use to help you write about a place that has meaning and power in your life? What a delightful piece! I think my favorite line is “Food was grandpa’s poetry” that then goes on to describe his constant thinking about how to delight those around him. You definitely need to blog more often!